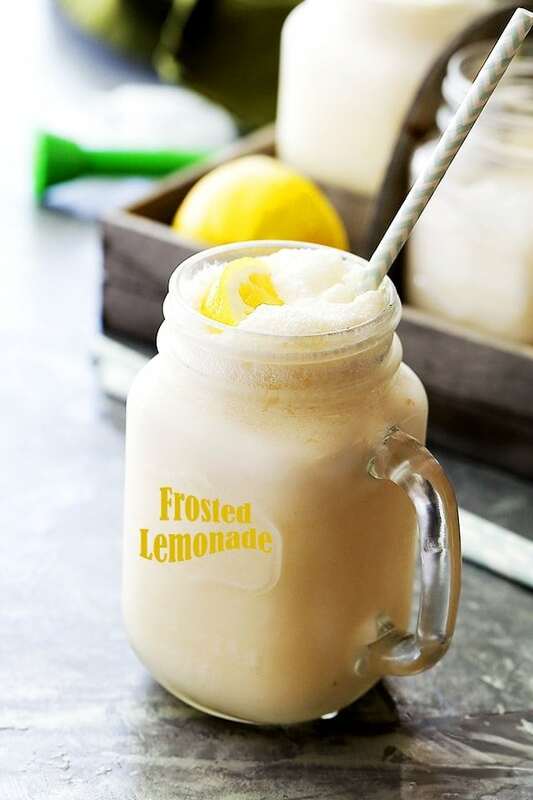 Frosted Lemonade Recipe – Easy, delicious and refreshing two-ingredient Chick-fil-A Frosted Lemonade copycat made with lemonade and vanilla frozen yogurt! Glory be, 2 sweet recipes in one week?! ME? Weird. 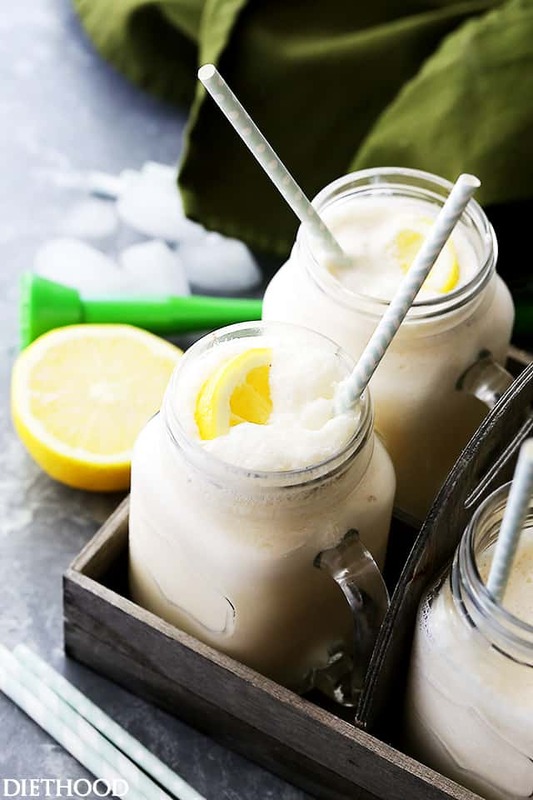 But, you know the old saying – when life gives you vanilla frozen yogurt, you have to make Frosted Lemonade. Go Fro-YO, or go home! Hi Ya! Cheers to Friday, where there’s time enough for lemonades after work and reason enough for frozen yogurt inside of them! Truth be told, I’d easily enjoy a daily diet of this particular lemonade with a side of strawberry shortcakes. Man, that’d be a great life… without the extra calories, sugar, and all that jazz, of course. In related news, I have to tell you this: my 6-year old, Ana, had a lemonade stand couple of weeks ago and made 20-bucks in 4 hours. That’s impressive, don’t you think? I was proud! In other lemonade-related news: these are so fun! I can’t remember when I got the idea for them, but it definitely was during one of those not so routine stops at Chick-Fil-A. The kids made me do it! Okay okay… As much as I try (I try realllllyyy hard!) to avoid drive-thrus, sometimes I act like a human and cave-in. This Frosted Lemonade brings out that human in me and I can’t resist. Forgive me, Father. During one of those oops-I-did-it-again-stops, I finally asked the guy at the counter, “what is inside them lemonades, sir?!”. To which he replied, “Vanilla Ice Cream… ma’am!”. “Coo’!” I said. …and was on my merry way to make them. 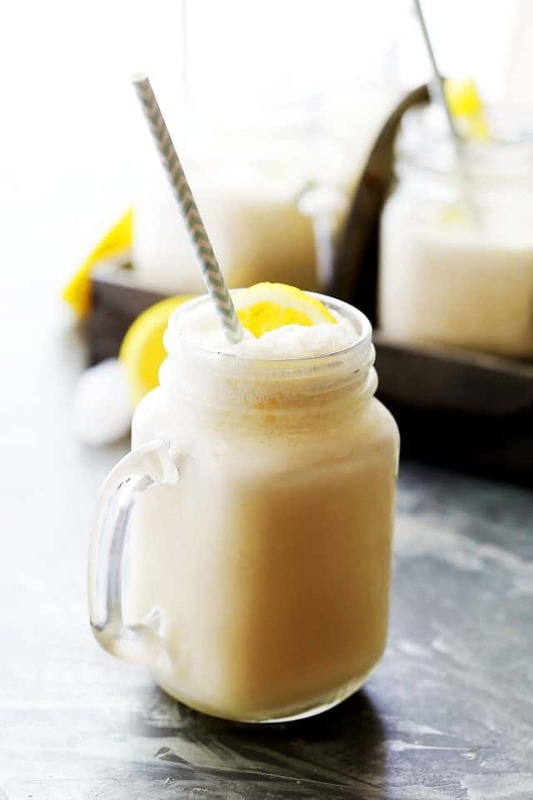 For this cold and lovely drink we combine our favorite lemonade (I have a box full of Minute Maid’s Just 15 Calories Lemonade cartons in case of a Happy Hour Lemonade emergency…) with scoops of frozen yogurt, and give it a whirl in our blender until smooth and frosty. If you’re feeling extra special, add rum or vodka before blending it all together, and add a bigger smile to your face. Just go for it! 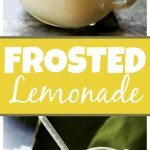 Frosted Lemonade Recipe - Easy, delicious and refreshing two-ingredient Chick-fil-A Frosted Lemonade copycat made with lemonade and vanilla frozen yogurt! 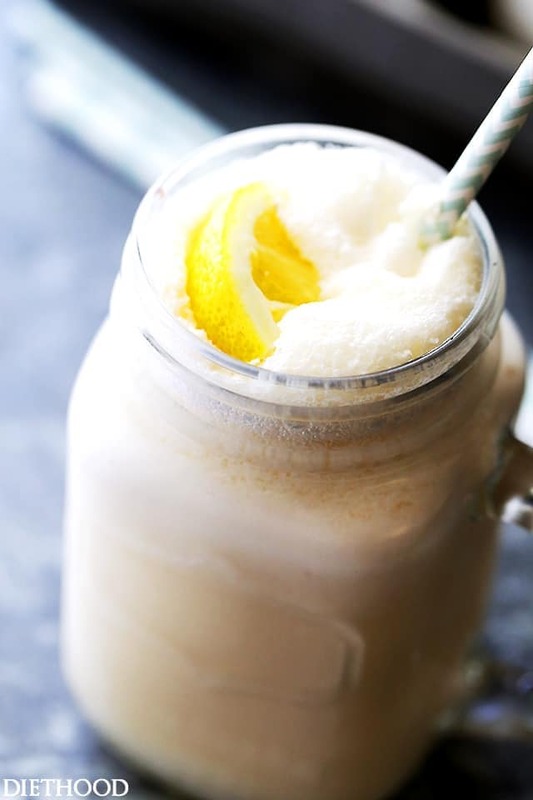 Add cold lemonade and frozen yogurt to a blender. Blend on LOW speed for 15 seconds, then blend on medium-high speed for 20 to 30 seconds. Blend until smooth, but frosty. So not only does this look amazing…..it’s also only TWO ingredients!?!? This looks so refreshing — I could down that entire glass in a few seconds! This looks like the most refreshing summertime drink! You can’t go wrong with a frozen yogurt drink. Thanks for the recipe! It looks and sounds delicious! Genius! I would have never thought to mix the two together! Yum! This looks like the perfect summer treat! I know it would be a favorite around here! I cannot wait to have this this summer! Yum! Can’t wait to make this over and over this summer! 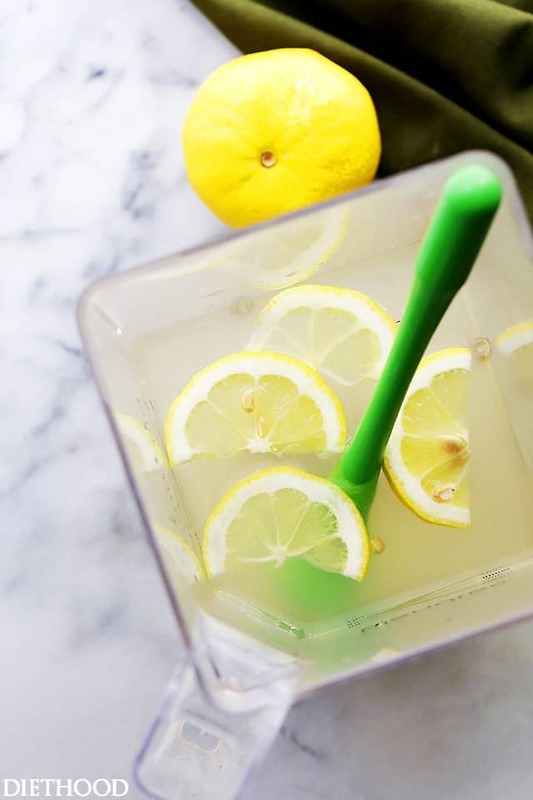 I love lemonade and I am totally making this today!